But record-breaking singer Adele - who show bosses hoped would appear following her throat surgery - will not be performing. The two-part final at Wembley Arena takes place next Saturday and Sunday with the winner being crowned in the second show. Also appearing during the two programmes will be Leona Lewis and JLS - who both found fame on the ITV1 show - and Michael Buble. In an interview only this week Michael told how he was not a great fan of X Factor creator Simon Cowell, after the media mogul wrecked his confidence with a dismissive gesture when he appeared on American Idol. It is the first time The X Factor final has been staged at Wembley and there will be an audience of around 10,000 each night at the venue. 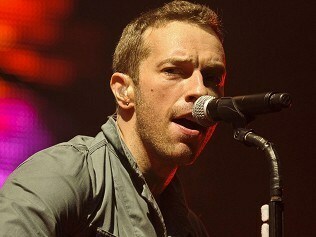 Coldplay frontman Chris Martin said: "We're all big X Factor fans so we're very excited to play live on the show." Judge Gary Barlow added: "This is the biggest final The X Factor has ever done. It's going to be an amazing night." On Saturday's show on December 10 the three finalists will sing two songs each with the public voting for who they want to win. The contestant with the lowest number of votes will be axed and the two remaining singers go head-to-head on Sunday. The semi-final takes place tomorrow night between Marcus Collins, Amelia Lily, Little Mix and Misha B.